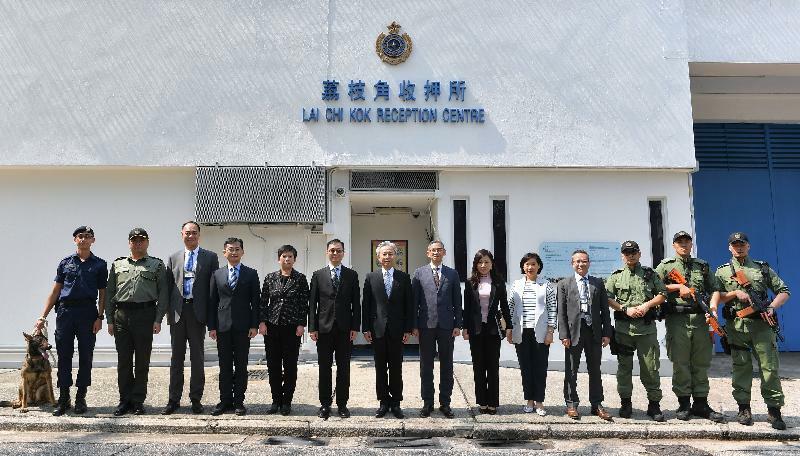 The Secretary for the Civil Service, Mr Joshua Law, visited Lai Chi Kok Reception Centre of the Correctional Services Department today (April 3) to meet with front-line colleagues of different positions to learn more about their daily work and challenges confronting them. 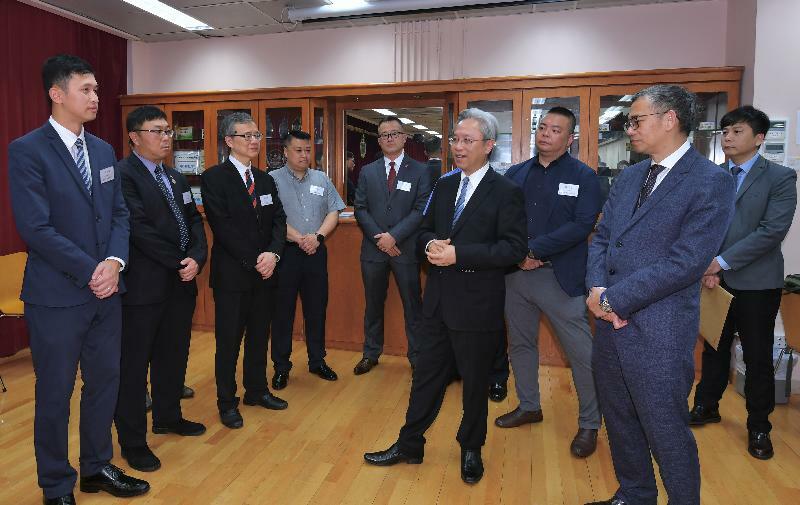 Mr Law first met with the Commissioner of Correctional Services, Mr Woo Ying-ming, and the directorate staff to get an update on the department's work in providing safe custody and promoting rehabilitation work. 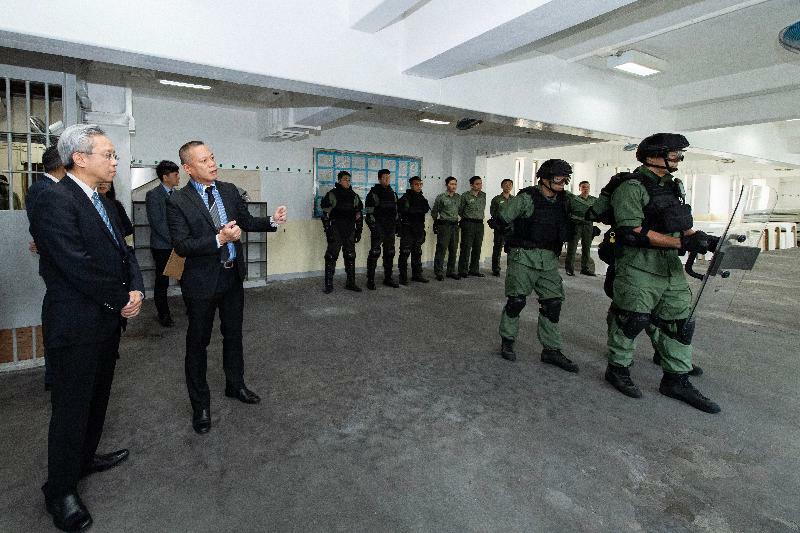 Mr Law then toured the dayroom and the hospital of Lai Chi Kok Reception Centre where he received briefings by front-line colleagues on their daily duties including supervising persons in custody and providing health care for persons in custody. Mr Law also watched tactical demonstrations by a Regional Response Team. Established in 2016, the Regional Response Teams are to assist in safeguarding the security of institutions and are responsible for escorting high-security-risk persons in custody. 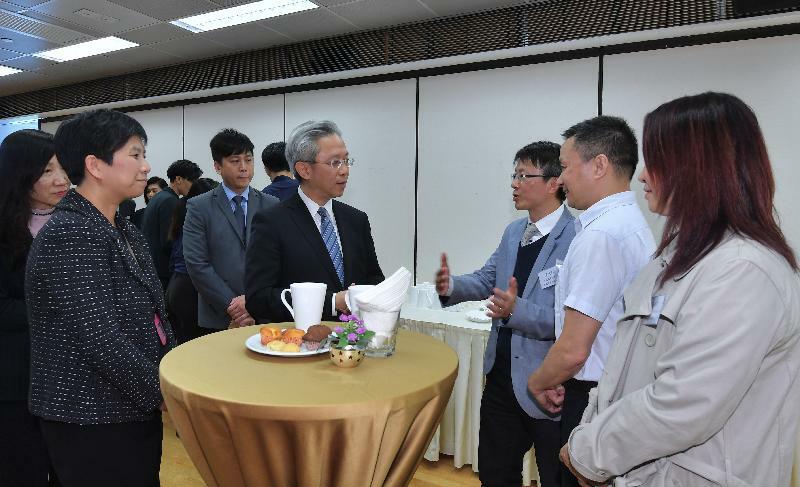 Before concluding his visit, Mr Law met with staff representatives of various grades in the department at a tea gathering to exchange views on matters that concerned them. He expressed appreciation for colleagues' dedication and encouraged them to continue upholding high ethical and moral standards in serving the community.